Born in St. Etienne in central France, Alberto Lombardo is an alumnus of theater acting at the Conservatory of Dramatic Arts in Lyon and the Antoine Vitez Workshops at the National Theater of Chaillot in Paris, and he also studied Modern Letters at the Sorbonne. He has written fifteen plays, regularly produced in France and overseas (Canada, Italy, Morocco, Spain, Romania, Germany, the US, and Lebanon). Some of his plays have been edited by Art et Comédie and L'Harmattan; others have been radio-broadcast on France-Inter and France Culture. Alberto has also created plays that mixed video and theater (real interviews with everyday people interposed a fictional story-line). 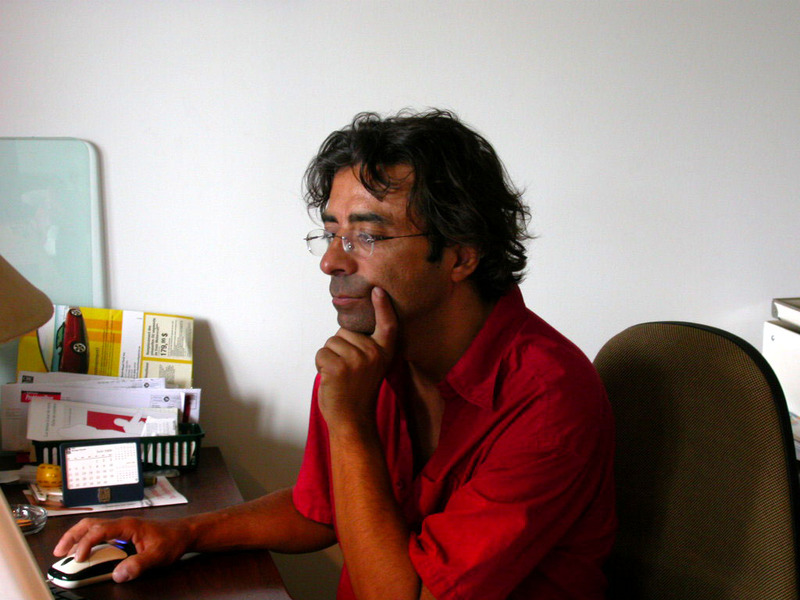 Alberto Lombardo is a member of the EAT (the French Association of Theater Writers) and an active member of the SACD (the French Dramatic Writers and Composers Guild). Alberto Lombardo currently acts with several companies as well as his own productions. He regularly leads acting, writing, and yoga workshops for teens and adults in France and overseas.